Jon Kabat-Zinn, Ph.D. is internationally known for his work as a scientist, writer, and meditation teacher engaged in bringing mindfulness into the mainstream of medicine and society. He is Professor of Medicine emeritus at the University of Massachusetts Medical School, where he was founding executive director of the Center for Mindfulness in Medicine, Health Care, and Society, and founder (in 1979) and former director of its world-renowned Stress Reduction Clinic. He is the author of two best-selling books: Full Catastrophe Living: Using the Wisdom of Your Body and Mind to Face Stress, Pain and Illness (Dell, 1990), published in Spanish, German, Russian, Japanese, Italian, Dutch, Korean, Finnish, and French and Wherever You Go, There You Are: Mindfulness Meditation in Everyday Life (Hyperion, 1994), published in German, Italian, French, Spanish, Czech, Swedish, Danish, Dutch, Russian, Portuguese, Brazilian Portuguese, Hebrew, Polish, Vietnamese, Korean, Croatian, Bulgarian, Finnish, and soon, in Chinese and Norwegian. He is also co-author, with his wife Myla, of Everyday Blessings: The Inner Work of Mindful Parenting (Hyperion, 1997). Everyday Blessings was rated by Amazon.com as one of the top ten books of 1998 in the inspirational category. He is also the author of Coming to Our Senses: Healing Ourselves and the World Through Mindfulness (Hyperion, 2005), The Mindful Way Through Depression: Freeing Yourself from Chronic Unhappiness (with Williams, Teasdale, and Segal - Guildford, 2007), Arriving at Your Own Door (Hyperion, 2007), a book of excerpts from Coming to Our Senses, and Letting Everything Become Your Teacher (Bantam Dell, 2009), a book of excerpts from Full Catastrophe Living. Dr. Wayne Dyer reveals how the ancient wisdom of the Tao Te Ching helped him shift from ambition to a new kind of meaningful consciousness in this empowering exploration of the dynamics of our thought process.Your wishes—all of them—can indeed be fulfilled. By using your imagination and practicing the art of assuming the feeling of your wishes being fulfilled, and steadfastly refusing to allow any evidence of the outer world to distract you from your intentions, you will discover that you, by virtue of your spiritual awareness, possess the ability to become the person you were destined to be. 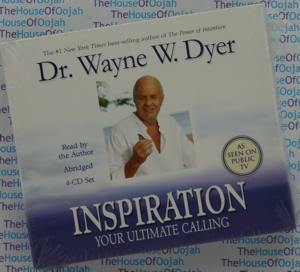 Wayne Dyer "I Can Do It"
Author Gregg Braden discussed the science behind miracles, the existence of an energy field that connects everything, and the power of heart-based emotion. Miracles appear inexplicable to the laws of nature as we understand them, yet they could be linked to the interconnected field around us, he outlined. Our hearts generate strong electric and magnetic fields in our body which can change the structure of atoms; through heart emotions (as opposed to just thoughts) we contribute to the larger field around us, and can create peace and healing, he continued. Recent discoveries about how the heart works show that it's in communication with the brain all the time-- a kind of coherence. Interestingly, he noted that the layers of the earth and its atmosphere (such as the ionosphere) share the same frequency as the heart/brain coherence. The Global Coherence Project is being developed to monitor how positive heart-directed intentions affect the field. Life affirming feelings help to perpetuate the field, whereas negative emotions contract the field, Braden suggested. The Divine Matrix, as explained by Gregg Braden, is an intelligent Field of energy that western science has just come to understand. The most ancient traditions began with this understanding and spent 3,000 years devising the ways that it applies in our lives --sometimes called the Field. In 1944, Max Planc identified it as the Matrix. "All matter originates and exists by virtue of a Force. We must assume behind this force a conscious, intelligent Matrix." (The movie, The Matrix was based on some of this work by Max Planc....) Dr. Edgar Mitchell calls it Nature's Mind. Steven Hawking calls it The Mind of God. Lynn McTaggert calls it the Field. 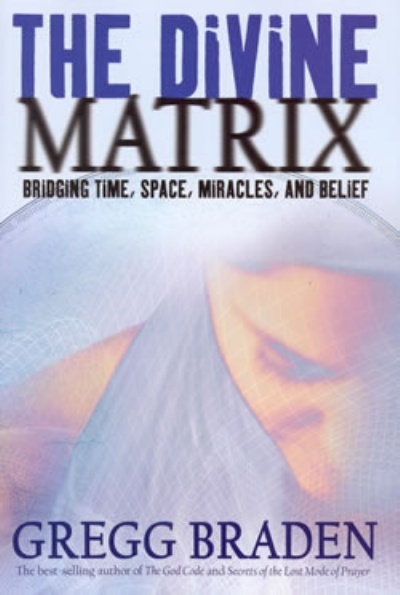 This book by Gregg Braden, says that not only are we a part of this matrix, but we have the ability to communicate with this divine matrix in ways that seem miraculous in the Western world. He spent time in the monasteries in China, Egypt Bolivia and Peru because they have maintained communication with this divine matrix. Gregg Braden assures us that this was part of our culture until the instructions were edited out of our Biblical text in the 4th Century. When he began studying the Dead Sea Scrolls, Braden found that we once had as part of our history the same teachings that he was only finding in these out-of-the-way places. Afterwards, their practices began to seem very strange to westerners. We called them primitive practices. Gregg Braden says that it is believed that the divine matrix was birthed simultaneously with the birth of our Universe. When our Universe had expanded to the size of a green pea, and was at about a billion, billion degrees, this divine matrix was carried with the expansion. Gregg Braden says that the divine matrix is a bridge between our inner experiences, feeling, emotion and belief and our outer worlds. This matrix or divine matrix carries everything from our healing, to the peace or violence in the world around us. It is also a mirror using the quantum essence of the stuff around us, of what we claim to be real. Gregg Braden believes that we will only see things in our life that agree with our reality. He doesn't discuss why this is, but Jill Bolte Taylor (see video at https://www.mindbridge-loa.com/Eckhart-Tolle.html) would explain that our left brain filters out what it doesn't believe. Finally, it is a container, a substrate that holds everything together. In this way, Gregg Braden explains, the divine matrix connects us all. The divine matrix is very literal. It will mirror back to us our beliefs and feelings about our relationships, our checkbook and our relation to our communities. The ancient texts encourage us to feel our feelings as if our prayers have already been answered. For example, if, Gregg Braden explains, we ask for healing for our loved ones, we are affirming the illness or distress. The way to do it correctly, is to act as if it has already happened and to feel the feelings of gratitude and appreciation. We have been conditioned in the United States, during the past 7 years, to be afraid. We can expect to see these feelings mirrored in the world around us and in our bodies. Fear chemistry is life denying and love chemistry is life affirming. We produce either cortisol or DHEA. What if the Divine Matrix didn't exist? Max Planc says it is from this stuff that all matter originates by virtue of this divine matrix. It is the framework upon which all matter is hung and it is impossible that it does not exist. Like the water in the fish tank, it is not commonly noticed by those living in its environment, but they would not be able to live without it. Gregg Braden explains that the divine matrix doesn't respond routinely to standard testing. There has been some debate about whether it actually exists. In 1887, Michaelson-Morley's experiment was called "Histories Greatest Failed Experiment".... Moisten your index finger and hold it above your head. If you don't feel wind, moving air, and from that, conclude that there is no air, that would be the equivalent of what they did. The divine matrix was then called the Ether. Their equipment, two times (1881 and 1887) detected no movement. They were looking for the Ether wind. They concluded that it didn't exist. Up until the late 20th Century, Gregg Braden explains, we have been operating on the belief that everything is separate from everything else. Now we find, in the Quantum world, that the divine matrix exists. This same Michaelson-Morley experiment was repeated in 1986, by EW Silvertooth for the US Air Force. He had better equipment and found that the Divine Matrix exists and it acted just the way that Michaelson-Morley thought that it would. It was published in Nature. Does this allow us to have intuition and telepathy? Yes, Gregg Braden answers, and remote viewing as well. This divine matrix is the conduit that carries our conscious awareness out from our physical bodies. There is a quality of human emotion, a shift in perception, that impacts the stuff in this divine matrix to conform to what we have in our hearts. Do you think if you concentrate on this matrix, you can go into it? It is not possible to exit from it. Every cell in our bodies is already submerged in this matrix. Gregg Braden explains that it would be impossible to hold our bodies together without it. If we are conscious, we are always interacting. We create through the power of human emotion. Harness the Power of Intention, Coincidence, and Awareness by Deepak Chopra, M.D.